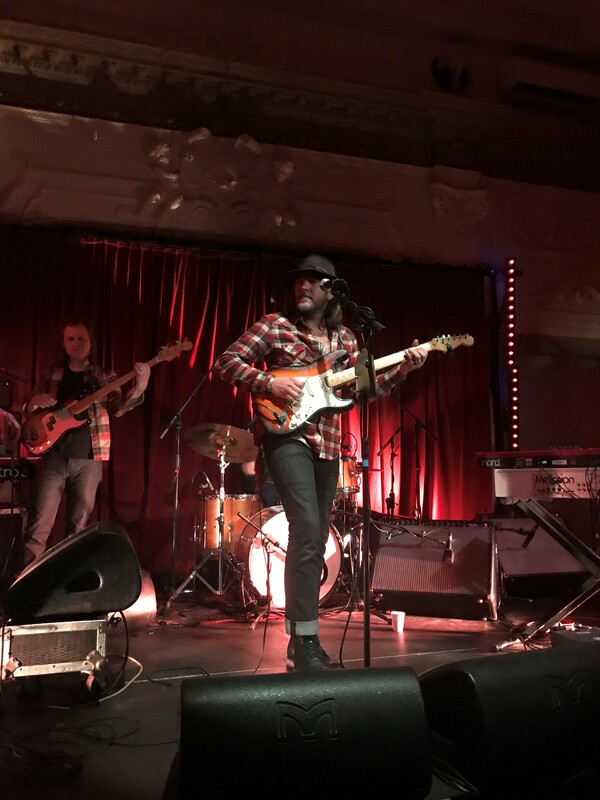 Five Texan gentlemen swaggered onto the Bush Hall stage and an hour later they were gone after an impressive debut London performance. The Texas Gentlemen are a super talented country rock group drawn from a 15-20 strong collective of extremely talented musicians from Texas who also are good friends. Strong support came from Howard Rose, who finished his set with Prospector and is showing that he making the transition from the BBC’s Voice programme to real life performance admirably, having a good rapport with the audience. 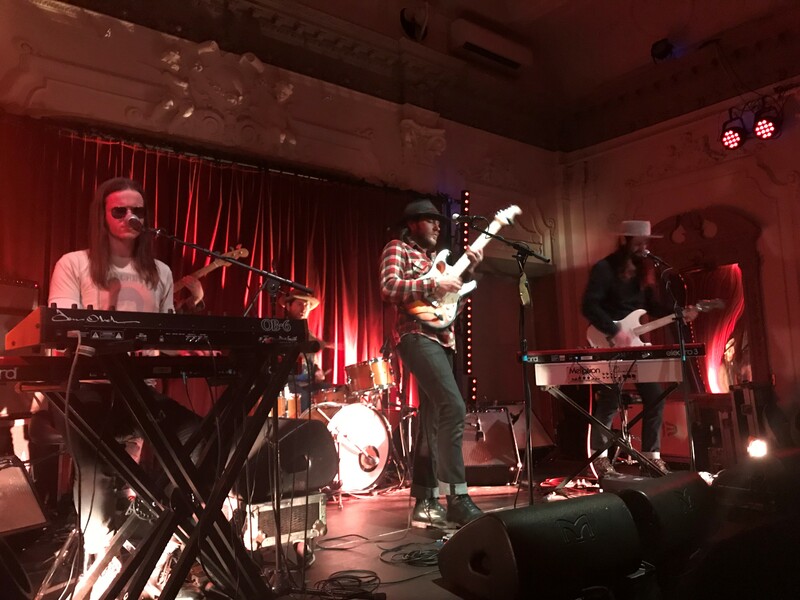 The Texas Gentlemen on show at Bush Hall were Daniel Creamer on vocals and keyboards, Nik Lee on guitar and vocals, Beau Bedford on keys, guitar and vocals, Ryan Ake on bass and Aaron Haynes on drums. The guys all look very much the part, long hair obligatory. Beards and hats optional. These guys sure can play and the sound they make is sensational, the vocals are strong with good harmonies and there’s a rock solid rhythm section. The group’s style ranges from southern boogie to country to funk with a little Doobies, Steely Dan and Zappa thrown in for good measure. A comical moment was a track that seemingly was entitled Pass The Whisky Around but it soon transpired that passing the whisky (bottle) around the band was precisely what the guys were doing. As soon as all the guys had a swig (or two) the song stopped and they moved on with the show. For a group that has no trouble writing original material (they laid down 28 live tracks in 96 hours straight in the studio for the TX Jelly album) they do a surprising amount of covers. This is not a criticism as the three they did at Bush Hall were magnificent. A funk-laden version of the Meters’ Cissy Strut, a gorgeous version of Willie Nelson’s Crazy for which if you had closed your eyes you could have been forgiven for thinking that you were listening to Willie himself. Closing the show was a storming version of Johnny Kidd & the Pirates’ Shakin’ All Over, which shook the hall. Creamer left his keyboards and made a trio of guitarists with Lee and Bedford. The power on this number, which served as an encore, was astonishing. I repeat, this band can play.